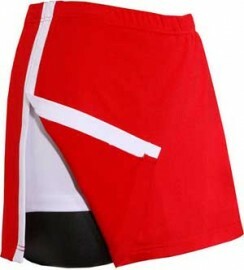 Red Tennis skort with contrast white stripe and undershorts. Very flattering fit, lengths vary with size, please see sizing page for details. Wear with the white Nina cap sleeve tennis tee.